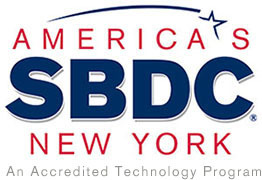 Through 22 campus-based regional centers, and dozens of outreach offices, the New York SBDC applies the resources of university, private sector, and government to solve business problems and foster entrepreneurship. The SBDC emphasizes counseling and training services to women, veterans, people with special needs, and minority clients. 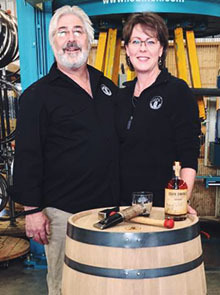 The SBDC also focuses on projects that advance the job development, investment, and economic growth priorities of New York State, with an emphasis on manufacturers, exporters and technology-oriented firms. Full-time professional SBDC business advisors, with the knowledge and experience to provide entrepreneurs with expert counseling and training, staff each SBDC regional center. These advisors undergo rigorous professional certification to keep their business knowledge up-to-the-minute and their counseling skills sharp. Their skills are augmented by the New York SBDC Research Network - one of the most advanced business information resources in the country. The Research Network, located in Albany, New York, provides New York SBDC business advisors with the latest economic, demographic, regulatory, and other data that can have an impact on small business success. The SBDC works closely with other New York State economic development agencies, faculty and students at host institutions, and representatives from private industry and business to focus resources on assisting small businesses and entrepreneurs.